The Department of Health and Human Services has published its Final Rule for the Common Rule (45 CFR part 46). The Final Rule makes considerable changes to the Common Rule, although some of the most controversial elements which were included in the September 2015 proposed rule have been dropped. One of the proposed changes would have made it much harder for research organizations to use biomedical samples for research. Rather than allowing a general consent form to be used, HHS proposed that written consent be obtained from patients prior to their samples being used for further studies, requiring additional consent to be obtained from the patient in writing for every step of research. If a tissue or blood sample was left over from a previous research study, additional written consent would have been required before that sample could be used, even when consent to use the sample for research had already been obtained from the patient in the first place. The proposed change was included following a high-profile case of a woman – Henrietta Lacks – whose cancer cells were used in multiple research studies without her knowledge or consent. While the proposed change was important for patient privacy, it would have been a major headache that could have slowed research and reduced the number of tissue samples that could be used for essential biomedical research. The proposed change attracted a huge number of negative comments (more than 2,100) from researchers who felt it would slow their research. Additionally, there were cost considerations. The change would have made it difficult for small hospitals to provide samples for research due to the costs involved. After reviewing the comments, the HHS decided to drop the change for the Final Rule. Now, samples can be used for research without obtaining additional consent from the donor of the sample, provided the samples are de-identified by removing names and other identifying information. Essentially, research can continue to be conducted as it currently is. 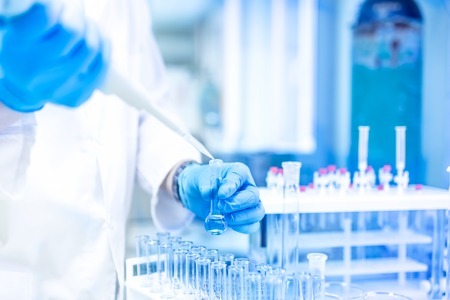 Another proposed change that attracted considerable criticism was the need for all researchers who received federal funding for clinical research to abide by the Common Rule. Critics pointed out that this requirement would not tackle the biggest problem – organizations that received no federal funding. It was believed that the change would also have hampered student research and social studies. This change was also dropped from the Final Rule. When the Final Rule comes into effect, consent forms will need to include a concise summary at the start of the document explaining the most important information that potential research participants will need to know to give informed consent. The summary will need to include alternate treatments, and the risks and benefits of participation. Consent forms for certain federally funded programs will also need to be posted on public websites. One controversial change that has not been dropped is the requirement for a single institutional review board (IRB) to be used for multi-institutional research studies to streamline oversight. However, a number of exceptions have now been included in the Final Rule to add greater flexibility. The HHS says the Final Rule strengthens patient privacy protections while reducing the administrative burden on research institutions. The changes were required because the Common Rule became effective in 1991 when most research was conducted at single sites by universities and medical institutions. However, today, the landscape is very different. Studies are now commonly spread across multiple institutions now that data have been digitalized. Large scale studies are now commonplace. Jerry Menikoff, MD, Director of the HHS Office for Human Research Protections, said “We are very hopeful that these changes and all the others that reduce unnecessary administrative burdens will be beneficial to both researchers and research participants. The 543-page Final Rule, which was produced with assistance from 15 federal agencies, will be effective from 2018.